A wart is a benign skin growth caused by a virus. They may occur anywhere on the body but are frequently seen on the hands, feet, and face (areas of frequent contact). 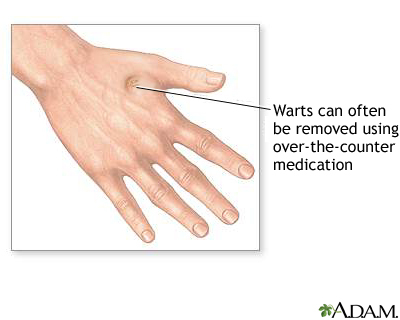 Over-the-counter medications are often effective in removal of warts.